When you’re looking for a car, do you consider its “cool” factor? Well, if you do, then you should be shopping at El Dorado Mazda. That’s because Kelley Blue Book recently gave the Mazda3 a spot on its list of the 10 Coolest cars under $20,000 for 2018. 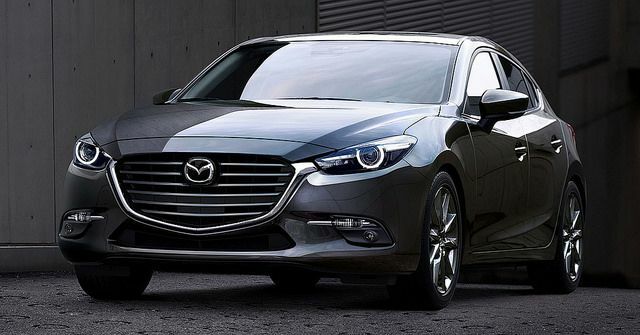 This isn’t the first time that the Kelley Blue Book’s Coolest Car list has included the Mazda3. In fact, since this car was debuted in 2003, it has appeared on the list each year. Not to mention the fact that this is the fifth year in a row that the Mazda3 has actually topped the list. That’s 15 years of superior coolness — you can’t beat that. The Mazda3 combines a svelte, athletic styling with a slew of standard interior and safety features that are sure to turn consumers’ heads. Celebrate the Mazda3 model’s latest accolade by visiting us at El Dorado Mazda to take one for a test drive.